Facebook CEO Mark Zuckerberg breaks silence, admits "breach of trust"
Mark Zuckerberg says he's "really sorry"
Mark Zuckerberg, CEO of social media giant Facebook (FB), released a statement Wednesday afternoon breaking his silence about startling reports that the company mishandled the personal data of millions of users. He wrote in a post on Facebook that there was a "breach of trust between Facebook and the people who share their data with us" and said the company "made mistakes" on what he referred to as the "Cambridge Analytica situation." "We have a responsibility to protect your data, and if we can't then we don't deserve to serve you. I've been working to understand exactly what happened and how to make sure this doesn't happen again," Zuckerberg wrote. Zuckerberg and Facebook chief operating officer Sheryl Sandberg have been under pressure to address the issue since headlines broke over the weekend about political consulting firm Cambridge Analytica and its harvesting of 50 million Facebook users' data. Referring to the app developer who shared Facebook data with Cambridge Analytica, Zuckerberg acknowledged, "This was a breach of trust between [Aleksandr] Kogan, Cambridge Analytica and Facebook. But it was also a breach of trust between Facebook and the people who share their data with us and expect us to protect it. We need to fix that." Zuckerberg says the company made changes back in 2014 to restrict the amount of data app developers can access. He said Facebook will now take additional steps, such as removing developers' access to your data if you haven't used their app in three months, and reducing the amount of personal information an app gets when you sign in. To help users understand which third-party apps have access to their data, Zuckerberg said, "In the next month, we will show everyone a tool at the top of your News Feed with the apps you've used and an easy way to revoke those apps' permissions to your data. We already have a tool to do this in your privacy settings, and now we will put this tool at the top of your News Feed to make sure everyone sees it." Cambridge Analytica, a political consulting firm financed by billionaire conservative activist Robert Mercer, was used by the Trump campaign in the 2016 race for the White House. Facebook's chief operating officer Sheryl Sandberg also echoed Zuckerberg's statement in a post on Facebook: "We have a responsibility to protect your data -- and if we can't, then we don't deserve to serve you." Facebook's Mark Zuckerberg admits "mistakes," "breach of trust"
"This is a beginning of a change where Facebook makes it much easier to control your settings and your privacy ... that's a big deal," Nick Thompson, editor-in-chief of Wired and CBS News contributor, told CBSN over the phone. "The reason that Facebook has always made it hard to do that is that their business model depends on them getting the most amount of data possible -- so they made it tricky for you to limit that. Now it seems like they're going to make it easy because they see the horrible messes that can happen when you don't have control." Thompson pointed out in 2015 the tech company learned Cambridge Analytica misappropriated Facebook's data and questioned why the company didn't do an audit on the data firm. He called it a "fundamental problem" Facebook didn't address at the time. Facebook is facing a growing backlash on Capitol Hill as more lawmakers demand that Zuckerberg testify. Some are calling for increased regulations on big tech companies. "Mark Zuckerberg needs to testify under oath in public before the Judiciary Committee. He owes it to the American people who ought to be deeply disappointed by the conflicting and disparate explanations that have been offered," Sen. Richard Blumenthal, D-Connecticut, told reporters Monday. 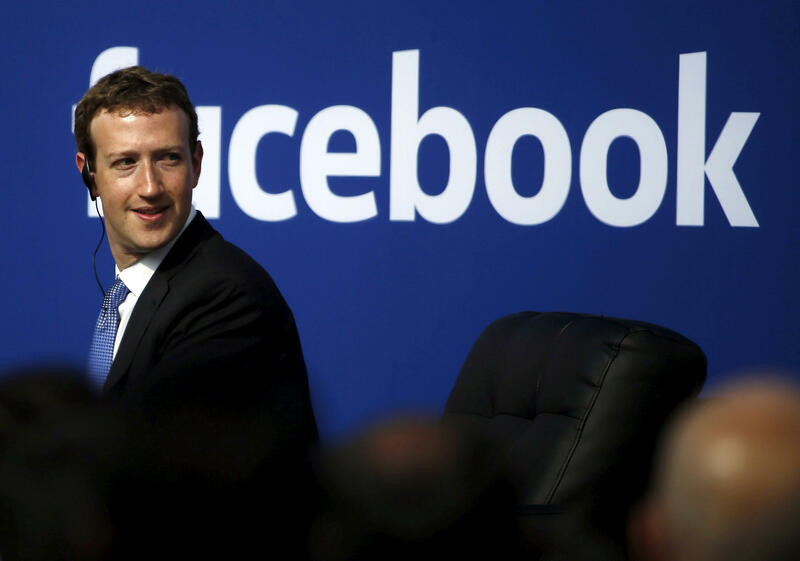 The former Connecticut attorney general warned, "Zuckerberg ought to be subpoenaed to testify if he won't do it voluntarily." After Zuckerberg's statement Wednesday, Sen. Amy Klobuchar, D-Minnesota, said the committee still wants to question him. "The steps Facebook has laid out to protect its user data are a start but Mark Zuckerberg still needs to come testify before the Senate Judiciary Committee," Klobuchar said in a statement. "In addition, Facebook should show good faith by supporting the Honest Ads Act and the company will have to deal with the FTC investigation and other legal proceedings as a result of this breach." Meanwhile, the hashtag #DeleteFacebook has been spreading on social media. Even the founder of WhatsApp -- which Facebook bought in 2014 for $19 billion -- tweeted: "It is time #DeleteFacebook." However, it's not yet clear whether a significant number of Facebook users have actually abandoned the social network. The scandal has taken a toll on Facebook's stock price, which tumbled roughly 10 percent since Monday, knocking more than $50 billion off of its market value, before regaining some ground. Shortly after the election of President Trump in November 2016, news reports examined Facebook's role as an information platform. BuzzFeed found so-called "fake news" during the campaign season sometimes reached more people than genuine news coverage on Facebook -- and they traced more than 100 pro-Trump accounts to a single town in Macedonia. Zuckerberg initially downplayed the findings, calling the possibility that fake news swayed the election "pretty crazy," but later said he regretted being so dismissive. In September, Facebook revealed that it had sold about $100,000 worth of ads to fake accounts linked to Russia during the U.S. presidential campaign. The ads reached as many as 126 million people, it estimated. Faced with the threat of legislation that would require it to disclose its advertisers, Facebook rolled out a tool that allows users to check who's behind the ads they are seeing. In February, 13 Russian nationals and entities were indicted for their involvement, accused of breaking U.S. laws to meddle in the elections via advertisements and groups on Facebook. "We know we have more to do to prevent against future attacks," said Facebook, whose name appears 35 times in the indictment. CBS News' Irina Ivanova contributed reporting.